Marco and Laura Vergara were both born in Colombia. Due to the political and social situation of the country they left Colombia and moved to Canada and the USA respectively. Laura was born into a Christian family, and at the age of 17 she made a decision for Christ. She served with the youth and as a coordinator of small groups at her local church in Florida for 9 years. Marco came to faith in Toronto at the Scott Mission where he served the homeless population. They married in 2009, and as a couple, served in a church plant for the Spanish speaking community in downtown Toronto under the umbrella of the Christian and Missionary Alliance church. During that course of time, Marco served as a worship leader and Laura served with the kids and women ministry for about 3 years. During the same period of time Marco started doing the sermon translations and voice over for Pastor Charles Price from the Peoples Church, which he performed for the next 7 years. 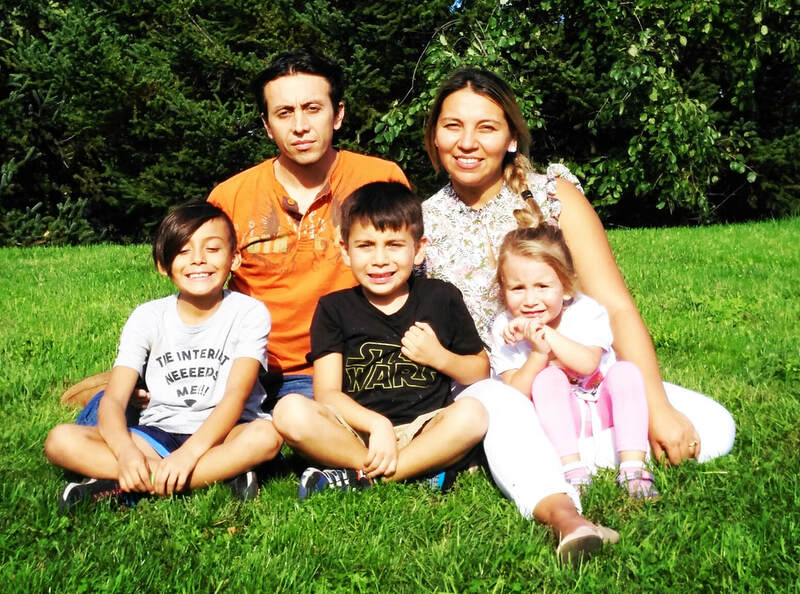 After the arrival of their first baby, Jacob, they moved to Mississauga were they served at Streetsville Baptist church for 3 years -- Marco served as a worship leader and Laura with kids ministry. During that time they welcomed one more child, their son Thomas. In 2015, after the birth of their third baby, Lana, they decided to join Clearview where Marco served as a worship team member and Laura as part of the Children Ministry Leadership Team. In addition, since 2017, they both have been serving as pastoral care elders for college and careers. Marco and Laura will be serving the church in Bogota, Colombia equipping and training leaders. Marco will be working with the worship and music ministry helping direct and develop it. Training leaders in the area of worship and helping out with Sunday services, administration and the programming of it all. Laura will be working with children and moms of the church. She will be facilitating mom groups for mothers in need of a support network as they raise their children. Along with this Laura will help develop kids ministries for the church including Vacation Bible School. Together Marco and Laura will be doing pastoral care and support with the congregation there. They will also be involved in coordinating and supporting global mission recruiting for local and national programs in Colombia.